Don’t Rely on the Public Records…When It Comes to Reporting Gross Living Area Accurately. Just today, I had a situation where I was asked to appraise a property in the Graduate Hospital area. As it turns out, the homeowner informed me that I was the second appraiser to look at the property. This was a For Sale By Owner, as well. The owner also stated that the reason that a second appraisal was ordered was because the first appraiser “muffed-up” the sketch and got the GLA all wrong. Apparently, the calculations on the sketch were a couple hundred square feet smaller that what was recorded in the public records. I could feel my eyes beginning to roll backwards. The homeowner was hanging her hat and the potential sale of her property on the Philadelphia public records. Geez. She was very insistent that the other appraiser had no idea what they were doing. The idea that the public records could be wrong never crossed her mind. She’d been living in a house of certain size for 10 years and no one was going to tell her different. So, I went about my inspection, making sure to measure twice. Upon getting back to my office I drew the floor plan up using my sketch software. As luck would have it I must have “muffed-up” the sketch, as well. My calculations were some 200 SF smaller than what was reported in the public records. Imagine that, two, seasoned, professional appraisers made the same mistakes and arrived at almost the exact same GLA for her home?!?! The lesson here is it’s never a good idea to rely solely on the public records when it comes to matters of GLA. Think about it. Where does the information in the public records come from? 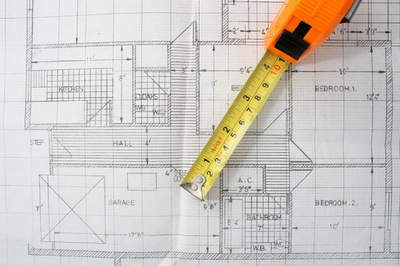 Did an assessor measure the property? Did a developer provide the info when submitting plans? Was it taken from an architects rendering? Who knows? If you really want to know the accurate GLA of a property, you have to measure it…whether you measure it yourself or use a measuring service! It’s not difficult to do and can help you avoid all sorts of headaches and misunderstanding. If you have any questions about how measure a house or about our Home Measuring Services, just let me know.